This is the end of missing firing pin retainer pins. Easily lost, the standard split-pin design firing pin retainer pin is haunted by poor retention. For decent function, the user must regularly spread apart the pin's split tip. Without this, these pins are prone to falling out whenever the carrier group is removed from the rifle. Typically, such pins are either lost or fracture from regular spreading. Our JP-designed and manufactured firing pin retainer pin resolves all retention issues of the standard split-pin component. The cotter-style design offers superior retention and longevity. Its overall length is optimized for JP bolt carriers but is a perfectly functional replacement for the pins in all large-frame bolt carriers of the DPMS LR-308 pattern. 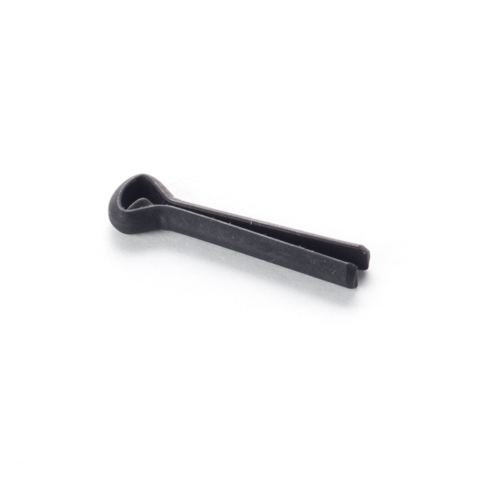 This firing pin retainer pin is not compatible with Armalite bolt carriers.